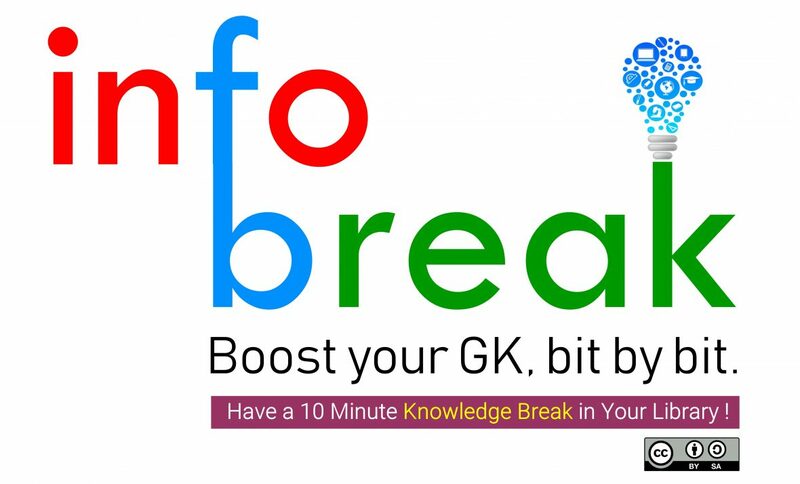 Infobreak – Boost your G. K., bit by bit. Class VI-XI students can participate, individually or as a Team of Two. Prepare Powerpoint Presentations on any General Knowledge Topics or Themes (see some suggested topics). Maximum 20-25 slides (you may include texts/ images/videos or animations). If it is in a quiz format, include the question and the answer on the same slide. The first slide must consist of the details; G. K.Topic, Name, Class & Division of the Student. Completed ppts should be sent to librarykvpattom@gmail.com on or before 26th June 2018. Winners will be awarded prizes and certificates. For more information, visit the Library or Ask your Librarian.